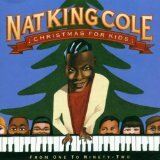 It just doesn't feel like Christmas until you've heard Nat King Cole. If ever a voice was equipped to take on a festive classic it was his. With a homespun charm and unmistakable tone hearing him just makes you feel warm inside. Inevitably there have been umpteen posthumous Nat King Cole Christmas compilations since his death in 1965 but during his lifetime Nat King Cole only recorded one Christmas album, 'The Magic of Christmas' in 1960. The album was awash with traditional standards like 'Deck The Halls', 'I Saw Three Ships', 'God Rest Ye Merry Gentlemen' and 'The First Noel' and included orchestral arrangements by Ralph Carmichael. Hard to believe this was Cole's sole full-length contribution to the season when you consider the grip he has had on what we play each Christmas. The crooner did however record several Christmas singles earlier in his career (listed below). One of them, initially released in 1946, would define his career and in many ways Christmas as we know it. The timeless Mel Tormé/Bob Wells number 'The Christmas Song' was written with Nat King Cole in mind and he didn't let the composer down as his wonderful interpretation has never been equaled. Nat King Cole has become so associated with the song that he recorded it 4 times and it is the final rendition in 1961 that is generally accepted to be the definitive recording. There is no doubt that Cole was a maverick as well as a talent, and his eponymous TV show became the first one to be fronted by an African American. Despite its short run (lasting only one year, primarily due to lack of sponsorship) it has left an indelible impression and many of Cole's performances, including one that you can watch below, have become the stuff of legend.